The Black Madonna has long protected her mountain villagers in southern Italy, and some say she followed her people to America. What else explains the magic and miracles on Spring Street in Little Italy over the decades? Teresa, whose son Nicky should never have walked again after his four-story fall, keeps a holy card of the Black Madonna hidden beneath her underwear. Magdalena, beautiful and mysterious, can make any man fall in love with her, including her stepson Salvatore, by praying secretly to an image of the Black Madonna in her attic. And Antoinette, after giving birth to five girls, had Jumbo, the biggest baby Spring Street ever saw -- once she had the Black Madonna's portrait in her kitchen. 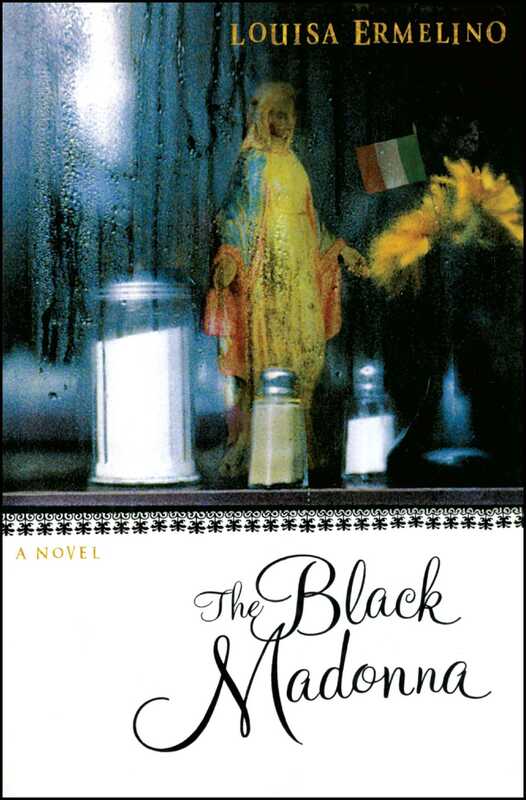 Vibrant, dark-souled creatures who get their way, control their lives, and pass on arcane knowledge like family heirlooms from generation to generation, Teresa, Magdalena, and Antoinette, with their intersecting lives, take center stage in The Black Madonna. This is an exploration of how each woman, and her beloved son, is forever changed by the Madonna of Viggiano. Louisa Ermelino's wonderful novel reveals a delicious truth: that it is the Italian-American women who hold the secrets -- and the power -- from the "other side," and that they know how to use them. A celebration of mother love and magic, The Black Madonna is filled with the sights, sounds, smells, and taste of Little Italy. Ultimately, it is a vibrant and life-affirming saga that all Americans will want to embrace as their own. Louisa Ermelino is the Reviews Director at Publishers Weekly and author of the novels Joey Dee Gets Wise, The Black Madonna, and The Sisters Mallone. She lives in New York City with her husband, Carlo Cutolo, and daughters Ruby, Lucy and Ariane.